Home / Hot GIFT Ideas / Senior Gift Ideas / Bar Harbor New England Style Lobster Bisque 10.5 oz. 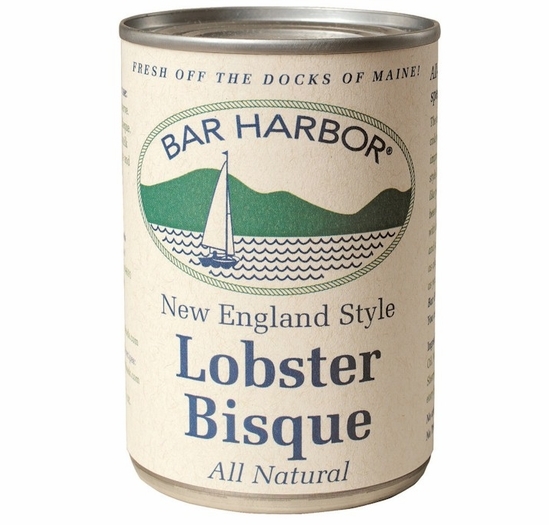 Home / Hot GIFT Ideas / Small Gift Ideas / Bar Harbor New England Style Lobster Bisque 10.5 oz. 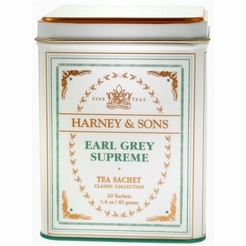 Home / Pantry Items / Clam Cake Mixes/Clam Chowders & Quahogs / Bar Harbor New England Style Lobster Bisque 10.5 oz. Home / New England Classics / Clam Cake Mixes/Clam Chowders & Quahogs / Bar Harbor New England Style Lobster Bisque 10.5 oz. Home / Hot GIFT Ideas / Gifts For Him / Clam Cake Mixes/Clam Chowders & Quahogs / Bar Harbor New England Style Lobster Bisque 10.5 oz. Home / Specialty Grocery / Clam Cake Mixes/Clam Chowders & Quahogs / Bar Harbor New England Style Lobster Bisque 10.5 oz. 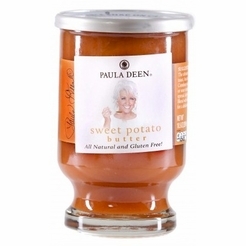 Home / Pantry Items / Condiments, Sauces, Dressings, & More / Clam Cake Mixes/Clam Chowders & Quahogs / Bar Harbor New England Style Lobster Bisque 10.5 oz. Home / New England Classics / Condiments, Sauces, Dressings, & More / Clam Cake Mixes/Clam Chowders & Quahogs / Bar Harbor New England Style Lobster Bisque 10.5 oz. Home / Hot GIFT Ideas / Gifts For Him / Party Favorites / Condiments, Sauces, Dressings, & More / Clam Cake Mixes/Clam Chowders & Quahogs / Bar Harbor New England Style Lobster Bisque 10.5 oz. Home / BBQ & Grilling / Condiments, Sauces, Dressings, & More / Clam Cake Mixes/Clam Chowders & Quahogs / Bar Harbor New England Style Lobster Bisque 10.5 oz. Home / Hot GIFT Ideas / BBQ & Grilling / Condiments, Sauces, Dressings, & More / Clam Cake Mixes/Clam Chowders & Quahogs / Bar Harbor New England Style Lobster Bisque 10.5 oz. Home / Hot GIFT Ideas / Gifts For Him / Party Favorites / BBQ & Grilling / Condiments, Sauces, Dressings, & More / Clam Cake Mixes/Clam Chowders & Quahogs / Bar Harbor New England Style Lobster Bisque 10.5 oz. Home / Specialty Grocery / Condiments, Sauces, Dressings, & More / Clam Cake Mixes/Clam Chowders & Quahogs / Bar Harbor New England Style Lobster Bisque 10.5 oz. Home / Foods of New England / Condiments, Sauces, Dressings, & More / Clam Cake Mixes/Clam Chowders & Quahogs / Bar Harbor New England Style Lobster Bisque 10.5 oz. Home / Foods of New England / Clam Cake Mixes/Clam Chowders & Quahogs / Bar Harbor New England Style Lobster Bisque 10.5 oz. 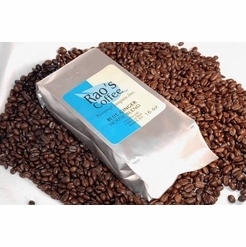 Home / Pantry Items / Meats & Seafood / Clam Cake Mixes/Clam Chowders & Quahogs / Bar Harbor New England Style Lobster Bisque 10.5 oz. Home / New England Classics / Meats & Seafood / Clam Cake Mixes/Clam Chowders & Quahogs / Bar Harbor New England Style Lobster Bisque 10.5 oz. Home / Hot GIFT Ideas / Gifts For Him / Meats & Seafood / Clam Cake Mixes/Clam Chowders & Quahogs / Bar Harbor New England Style Lobster Bisque 10.5 oz. Home / Foods of New England / Meats & Seafood / Clam Cake Mixes/Clam Chowders & Quahogs / Bar Harbor New England Style Lobster Bisque 10.5 oz. Home / Meats & Seafood / Clam Cake Mixes/Clam Chowders & Quahogs / Bar Harbor New England Style Lobster Bisque 10.5 oz. Home / Specialty Grocery / Meats & Seafood / Clam Cake Mixes/Clam Chowders & Quahogs / Bar Harbor New England Style Lobster Bisque 10.5 oz. Home / Hot GIFT Ideas / Gifts For Him / Party Favorites / Meats & Seafood / Clam Cake Mixes/Clam Chowders & Quahogs / Bar Harbor New England Style Lobster Bisque 10.5 oz. Home / New England Classics / Clambake & Seafood / Clam Cake Mixes/Clam Chowders & Quahogs / Bar Harbor New England Style Lobster Bisque 10.5 oz. Home / Foods of New England / Clambake & Seafood / Clam Cake Mixes/Clam Chowders & Quahogs / Bar Harbor New England Style Lobster Bisque 10.5 oz. Home / BBQ & Grilling / Clambake & Seafood / Clam Cake Mixes/Clam Chowders & Quahogs / Bar Harbor New England Style Lobster Bisque 10.5 oz. Home / Hot GIFT Ideas / BBQ & Grilling / Clambake & Seafood / Clam Cake Mixes/Clam Chowders & Quahogs / Bar Harbor New England Style Lobster Bisque 10.5 oz. Home / Hot GIFT Ideas / Gifts For Him / Party Favorites / BBQ & Grilling / Clambake & Seafood / Clam Cake Mixes/Clam Chowders & Quahogs / Bar Harbor New England Style Lobster Bisque 10.5 oz. Home / Pantry Items / Hometown Food Favorites / Clam Cake Mixes/Clam Chowders & Quahogs / Bar Harbor New England Style Lobster Bisque 10.5 oz. Home / New England Classics / Hometown Food Favorites / Clam Cake Mixes/Clam Chowders & Quahogs / Bar Harbor New England Style Lobster Bisque 10.5 oz. Home / Foods of New England / Hometown Food Favorites / Clam Cake Mixes/Clam Chowders & Quahogs / Bar Harbor New England Style Lobster Bisque 10.5 oz. Home / Specialty Grocery / Hometown Food Favorites / Clam Cake Mixes/Clam Chowders & Quahogs / Bar Harbor New England Style Lobster Bisque 10.5 oz. Home / Local Portuguese Foods / Hometown Food Favorites / Clam Cake Mixes/Clam Chowders & Quahogs / Bar Harbor New England Style Lobster Bisque 10.5 oz. Home / Pantry Items / Global Favorites / Local Portuguese Foods / Hometown Food Favorites / Clam Cake Mixes/Clam Chowders & Quahogs / Bar Harbor New England Style Lobster Bisque 10.5 oz. Home / Specialty Grocery / Global Favorites / Local Portuguese Foods / Hometown Food Favorites / Clam Cake Mixes/Clam Chowders & Quahogs / Bar Harbor New England Style Lobster Bisque 10.5 oz. Home / Foods of New England / Local Portuguese Foods / Hometown Food Favorites / Clam Cake Mixes/Clam Chowders & Quahogs / Bar Harbor New England Style Lobster Bisque 10.5 oz. Home / Hot GIFT Ideas / Holiday Entertaining / Clam Cake Mixes/Clam Chowders & Quahogs / Bar Harbor New England Style Lobster Bisque 10.5 oz. Home / Hot GIFT Ideas / Gifts For Him / Party Favorites / Clam Cake Mixes/Clam Chowders & Quahogs / Bar Harbor New England Style Lobster Bisque 10.5 oz. 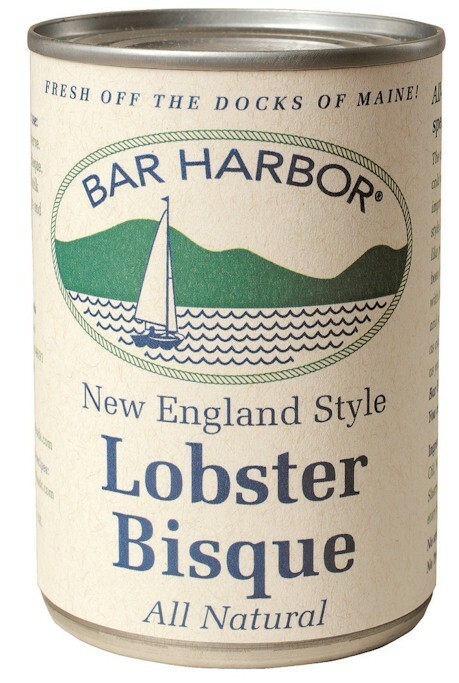 Home / Foods of New England / Brands (New England Favorites) / Bar Harbor / Bar Harbor New England Style Lobster Bisque 10.5 oz. Home / Popular Brands / Bar Harbor / Bar Harbor New England Style Lobster Bisque 10.5 oz. Home / Pantry Items / Condiments, Sauces, Dressings, & More / Soups & Chowders / Bar Harbor New England Style Lobster Bisque 10.5 oz. Home / New England Classics / Condiments, Sauces, Dressings, & More / Soups & Chowders / Bar Harbor New England Style Lobster Bisque 10.5 oz. Home / Hot GIFT Ideas / Gifts For Him / Party Favorites / Condiments, Sauces, Dressings, & More / Soups & Chowders / Bar Harbor New England Style Lobster Bisque 10.5 oz. Home / BBQ & Grilling / Condiments, Sauces, Dressings, & More / Soups & Chowders / Bar Harbor New England Style Lobster Bisque 10.5 oz. Home / Hot GIFT Ideas / BBQ & Grilling / Condiments, Sauces, Dressings, & More / Soups & Chowders / Bar Harbor New England Style Lobster Bisque 10.5 oz. Home / Hot GIFT Ideas / Gifts For Him / Party Favorites / BBQ & Grilling / Condiments, Sauces, Dressings, & More / Soups & Chowders / Bar Harbor New England Style Lobster Bisque 10.5 oz. Home / Specialty Grocery / Condiments, Sauces, Dressings, & More / Soups & Chowders / Bar Harbor New England Style Lobster Bisque 10.5 oz. Home / Foods of New England / Condiments, Sauces, Dressings, & More / Soups & Chowders / Bar Harbor New England Style Lobster Bisque 10.5 oz. All-natural seafood speaks for itself. The taste of wind, weather, and clear cold water; it's not a flavor that needs improving. They create their New England style Lobster Bisque in small batches, like people on the Maine coast have been doing for generations - loaded with pureed fresh lobster and simple, all-natural ingredients. It's as close to fresh off the docks of Maine as you can get without being here. 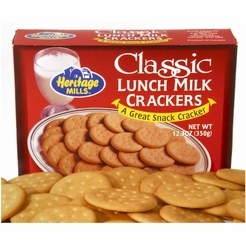 Ingredients: Lobster Meat, Milk, Canola Oil, Wheat Flour, Native Tapioca Starch, Sherry, Evap. Cane Juice and Proprietary Spice Blend. No artificial preservatives! No MSG! No Trans Fat! 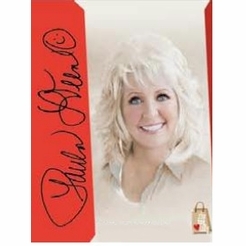 No artificial preservatives or MSG � ever!